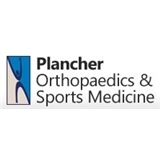 Plancher Orthopaedics & Sports Medicine (New York) - Book Appointment Online! We are devoted to the care and treatment of the musculoskeletal system for adults and children. This includes the bones, joints, ligaments and muscles, as well as the treatment of arthritis conservatively and surgically. Our goal is to provide you with state-of-the-art comprehensive care in arthroscopic shoulder, knee, elbow, hip, wrist, hand, and ankle surgery, ACL and PCL ligament reconstruction, sport medicine, joint replacement, minimally invasive and fracture care, including all aspects of complex orthopaedic trauma surgery. We also treat all types of hand and microvascular ailments ranging from cosmetic to congenital and reconstructive. For adults and children with a wide range of back and neck problems, Plancher Orthopaedics & Sports Medicine offers advice, relief from pain, and a return to activities. Following an initial evaluation, we employ the latest techniques and technology for diagnosis, treatment and recovery. My post surgical progress is going well and I'm walking better than expected for only 2 weeks out. I'm deeply appreciative to Dr A for his stellar work.